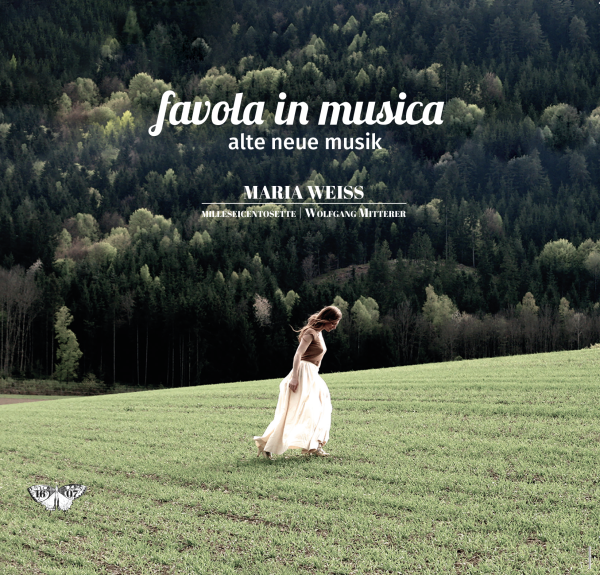 Product information "favola in musica"
Awarded the Pasticciopreis 2015 in Radio Österreich 1. »favola in musica« (eng. fairy tale in music) is the debut-album of the mezzo-soprano Maria Weiss, who designed this album as a musical fairy taie. It is the searching for the New within the Old and for the Old within the New. Developing this album,Maria Weiss lifted some treasures to light, so e.g. she discovered in the archives an aria of the forgotten opera of the composer Antonio Caldara. She also asked the composer and performer Wolfgang Mitterer, to reate two new works for this album. If you engage into this musical journey, you can also find the words of Monteverdis L'Orfeo but in an competely new contemporary way. Enjoy! Related links to "favola in musica"
Customer evaluation for "favola in musica"
A delightful production, in all respects. Weiss has a lovely, powerful voice which she uses in a historically authentic manner to perform this wonderful recital of music mostly early music. The digibook is a lavish production of 216 pages including detailed, useful, well-researched notes and many romantic-looking photographs of Weiss in period costumes against natural backgrounds. The CD itself should be welcome in the collection of any fan of early vocal music, and the digibook version would make a suitably lavish gift for such a fan. Eine wunderbare CD verpackt in einem liebevoll gestalteten Buch! Ich liebe dieses Werk und kann mich an der unvergleichlichen Stimme von Maria Weiss nicht satthören. Dabei entdecke ich immer wieder Neues!